It is with great sadness that we announce the passing of Ken Pascal at the Dauphin Regional Health Centre on January 28th, 2019 at the age of 83 years. Ken was born March 26, 1935 to Joe and Helen Pascal (nee Masiowski) in the RM of Dauphin, MB. Ken attended West Bay School. Being the oldest child, he quit school and went to work on the farm. Later he went to work for Mid West Drilling and then took a course in welding in Winnipeg. He worked in Brandon as a welder. Ken married Millie Baschuk in Fork River on August 22nd, 1959 and then they moved to Thompson and he worked for Brunwood Construction. A year later he worked as a welder for Inco. They then moved to the farm in Fork River and stayed until Ken’s health deteriorated in 2018. Ken and Millie had two children, Jackie and Kenny and a grandson Daven. Ken was very involved in the community. He was a councillor for the RM of Mossey River for 22 years. 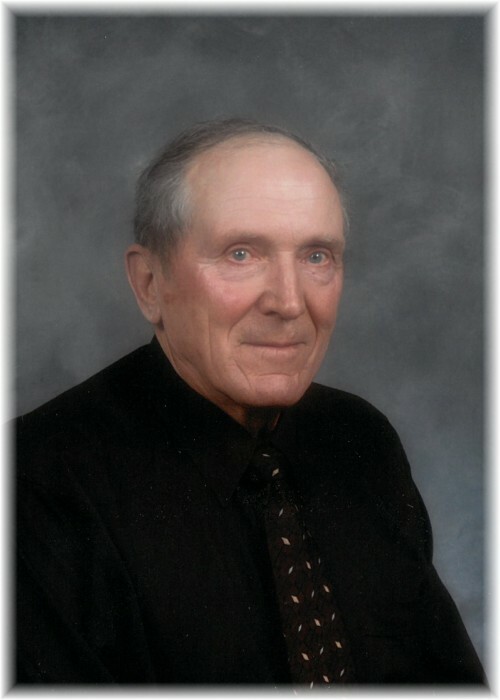 He served on the Lake Dauphin Basin Advisory Board, and was always willing to help his neighbors if they needed help. He was a religious man and political man. Ken joined the Knights of Columbus at an early age and became a Fourth Degree Knight. Ken had a kind heart and was easy going and had a great sense of humour. Left to cherish his memory are his wife Millie Pascal; children Kenny and Jackie; grandson Daven; brothers Melvin (Vicky), Peter (Janet), Elmer (Sylvia), Joey (Roberta), David (Pattie), Lawrence (Christine); sisters Lorraine Glover, Helen Shepert (Wally), Judy Pascal, and many nieces and nephews. Ken was predeceased by his parents and brother Wayne. Prayers were offered on Friday February 1, 2019 at 4:00 pm from Sneath Strilchuk Family Care Centre in Dauphin, MB. Funeral Mass was held on Saturday, February 2, 2019 at 10:00 am from St. Viator's Roman Catholic Church in Dauphin, MB with Father John Legitimas officiating. Pallbearers were Wayne Semchyshyn, James Semchyshyn, John Pascal, Trevor Pascal, Brad Masiowski, Darryl Baschuk. Should friends so desire, donations in memory of Ken may be made to Dauphin Palliative Care at the Dauphin Regional Health Centre.